Sometimes it is difficult to navigate in the world of Minecraft, especially if you do not have a map with you. But today we propose to fix this and download the new SkyCompass texture pack! 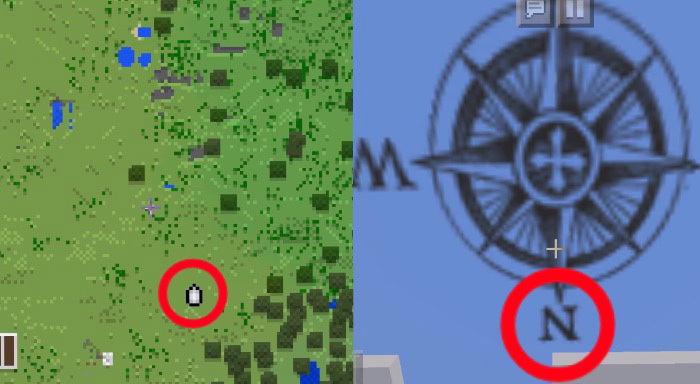 Now, if you get lost in the world of Minecraft Bedrok, you just need to raise your head and look at the sky, where you can see the compass, thanks to which you can precisely navigate the terrain. We hope you will be able to use the compass. Now in the sky of the world of Minecraft Bedrock you can see the compass, which will become your indispensable assistant in exciting journeys.